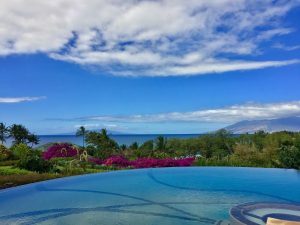 The luxury homes in Wailea/Makena rival the finest anywhere in the world, offering wonderfully generous living spaces and many with unbelievable views. Prestigious Makena golf course and communities such as Wailea Golf Estates, Wailea Golf Vistas, Maluhia at Wailea and Wailea Highlands offer unparalleled opportunities for second home and vacation home potential owners. Be careful though; you may find yourself spending more and more time here – and loving every minute of it! If you have devided to live in Makena, get in touch with Dale Richardson and Gigi King, your top Maui Realtors, at 808-208-1385 and 808-208-0122 to get the latest listings. You can also check out nearby communities such as Wailea, Kihei, and Lahaina.